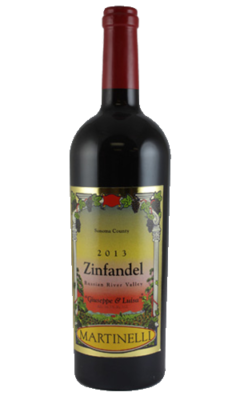 The 2016 Zinfandel Giuseppe & Luisa screams with personality. Bright, red-toned fruit, floral overtones and hints of tobacco all flesh out in the glass, but it is the wine's textural richness and silkiness that elevate the 2016 into the realm of the truly compelling. 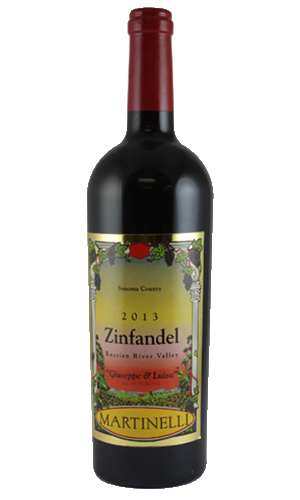 Racy and super-varietal, the Giuseppe & Luisa is simply a great expression of Russian River Zinfandel. The Giuseppe & Luisa emerges from a parcel planted by Lee Martinelli Sr. with cuttings taken from the original Jackass Hill vineyard his grandparents planted in 1899.